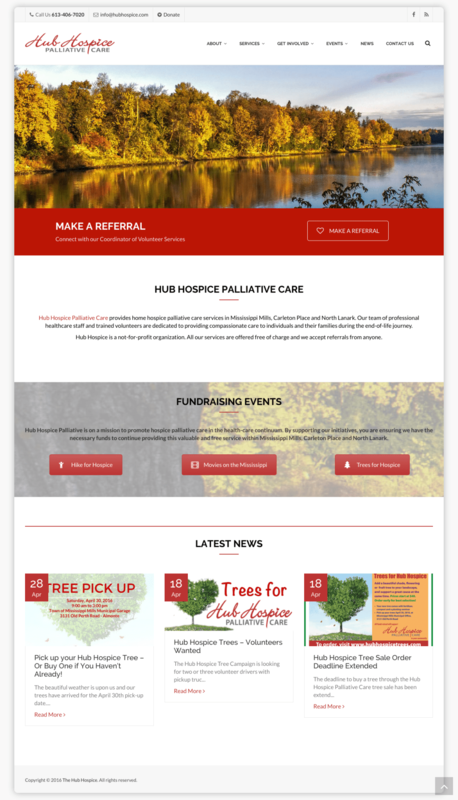 Hub Hospice Palliative Care – The Virtual Web Expert, Inc.
Hub Hospice Palliative Care is a Canadian registered charity offering “hospice without walls” volunteer-based services in Mississippi Mills, Carleton Place and North Lanark. The organization was looking to update their website, to ensure it was optimized for mobile. In addition, a secured volunteer portal was incorporated.